Cachaça is a spirit distilled from sugar cane juice. It’s immensely popular in Brazil. Citizens there enjoy cachaça in drinks or as a sipper. Outside of that country, this white spirit is more commonly consumed as an ingredient in tropical cocktails. Of course, this stat is greatly aided by the cultural popularity of the spirit among Brazil’s population of around 205.3 million. But as with other spirits already widely drank outside of America — like baijiu, for instance — cachaça would seem a natural fit for the every-expanding U.S. craft movement. The spirit dates back to 1532, when Portuguese colonists first introduced sugar cane into Brazil. Despite almost five centuries of production, however, cachaça has only been in America in significant amounts for the last decade or so, largely thanks to the rising interest among consumers in experimentation and craft. Three of the cachaças sampled during the video discussion. Category sales grew 28.9% in America in 2013-14, according to Axinte. And this was largely fueled by a rise in interest in craft cachaça: handcrafted and barrel-aged expressions. Much like how huge companies pump out cheap rum and vodka, so too do industrial outfits in Brazil make inexpensive cachaça in vast quantities. What are the telltale signs of these products? One is a smoky, fiery flavor, Axinte said, as burning sugar cane crops prior to harvesting makes the whole process easier. These fires can creep into the final flavor. A general hotness of alcohol is also an indication of cheap cachaça. This is often because the big distilleries ferment the spirit at higher temperatures either by design (to speed up the process) or happenstance. Industrial cachaças also tend to originate from the hotter, northern regions of Brazil, Axinte said. The Novo Fogo distillery in Brazil. If cheap cachaça can taste like pre-harvest fire, then what terroir flavors does the good stuff absorb? The “craft cachaça belt,” as Axinte described, runs along the southeastern seaboard of Brazil, from the state of Minas Gerais down to Rio Grande do Sul. 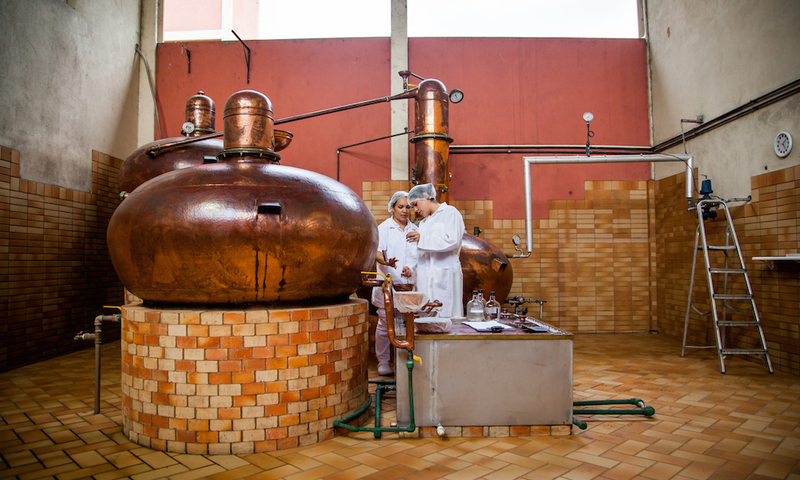 This is where the majority of top-quality cachaça originates. Distilling from sugarcane grown along the coast lends these spirits brininess and salinity. And because so many distilleries operate near rain forest, their cachaças also take on grassy vegetal and sweet tropical flavors. 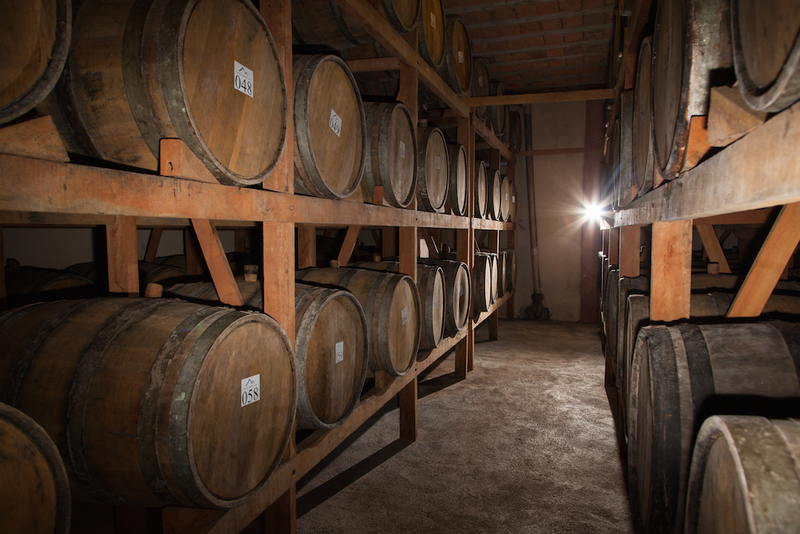 Once upon a time it was much more common to find cachaça aged or finished in Brazilian wood. Unfortunately, modern destruction of the country’s rain forest has significantly decreased distilleries’ abilities to acquire native wood. Many of these trees are now legally protected against being chopped down. However, there are alternative ways to obtain Brazilian wood. Distilleries can harvest trees naturally fallen, or repurpose wood already used in other construction. 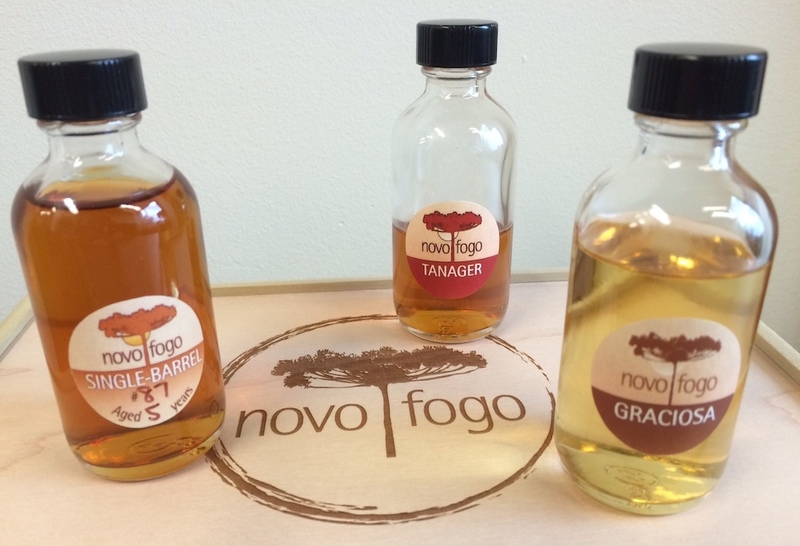 For example, Novo Fogo’s Tanager cachaça was aged in oak and finished in casks made of araribá, or Brazilian zebrawood, repurposed from an abandoned house on a partner’s property. This hard-to-acquire wood lends the spirit a funky, cinnamon flavor unlike any other cachaça in their line. Novo Fogo cachaça aging in barrels. While aging in Brazilian wood may be rare, the most-popular cachaças today are almost all aged in either American or French oak. Both do a tremendous job of evening out the otherwise hotness of this spirit, while adding balancing notes of vanilla. There is a market for unaged cachaça — Novo Fogo sells a Silver Cachaça — but contemporary tastes lean towards barrel-aged. By law, cachaças must be bottled between 38-48%, Axinte said. Low-proof cachaças at 38% – 40% are very common, though those available in the USA must be at least 40% ABV by American law. All the more reason to mix this tropical spirit into your next craft cocktail, or enjoy it as a sipper that won’t knock you over with alcohol while also giving you something complex to savor.